High quality ear impressions are perhaps the most important thing needed to make your Best Ears Custom In-Ear Monitors fit and sound their best. If you’d like to try to save some money you can request an Ear Impression Kit from Best Ears for only $30 and you can do it yourself. It’s better to have a friend do it and instruct them, however you need to be VERY careful as it is possible to do permanent damage to the ear drum. An excellent instructional video is below. 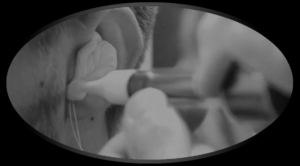 It’s a video demonstrating how to make custom earplugs, but is completely relevant in every way to making ear impressions for us to make your IEMs.